While attending my New York City fashion school during the eighties, my academic cohorts and I would venture out for lunch. It wasn’t often, as most of our money was taken up in the purchase of school supplies. We’d take the elevator from our seventh-floor institution to Park Avenue South below, just south of 23rd Street. We smoked a couple of cigarettes, chased by a styrofoamed cup of coffee, and then we bustled into the market with the rest of the noonday office crowd. Owned and operated by, we assumed, a Korean family, we never knew their names but were always greeted with a pleasant, “How are you!!! ?” It came across more as, “hey, good to see you,” rather than an actual question about our welfare. At the center of the grocery were two large stainless steel table tables, one for cold eats and salads, and the other filled to the brim with piping hot multi-ethnic delicacies. Once you filled up your plastic container, it was weighed by the cashier, and you were given your choice of wooden pull apart chopsticks or plastic utensils. It was $4.00 by the pound at this particular market, but at times, if you searched down in Wall Street or the Upper West Side, prices could be lower. Somewhere in the back, cooks were making varieties of kimchi, Filipino lechon, Chinese American fried rice, refried beans, roasted pork, cool sautéed string beans tossed with sesame and soy, white and brown rices, cold tofu in peanut butter sauce, kefta, and on and on went the menu. 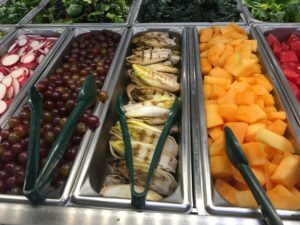 At times, there were more than 30 to 35 items on the hot buffet, and equally the same on the cold including many glass rice noodles salads. 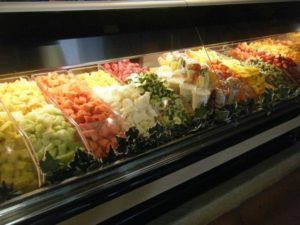 After leaving the Big Apple for Los Angeles in the early nineties, I didn’t think about the weigh-to go food bars. It wasn’t until I started seeing them at Whole Foods did I remember dining from them. 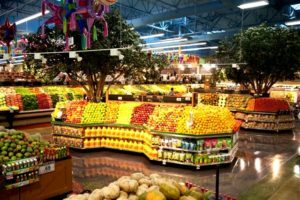 Recently, I’ve noticed more at a variety of markets, and have been pleased by the array of eating choices from these familiar metal stands. 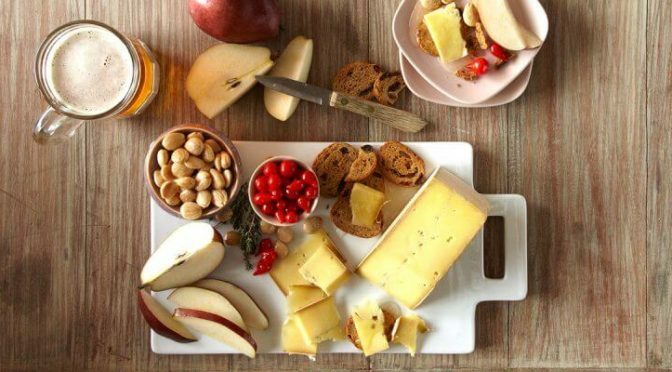 Over the past decade or so food, grocery bars seem to be making a comeback. It’s a natural choice for many, especially when you’re single, don’t feel like cooking, or just want to grab and go. 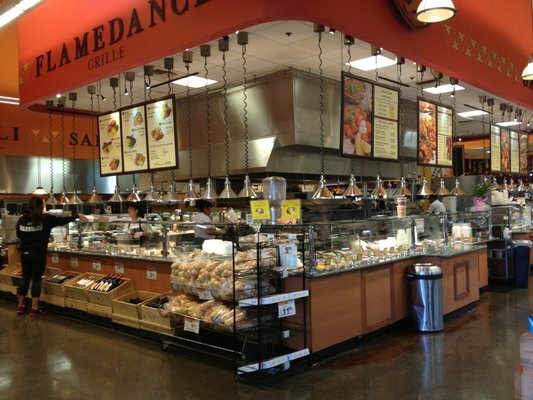 Each store has a distinct selection of items they offer. 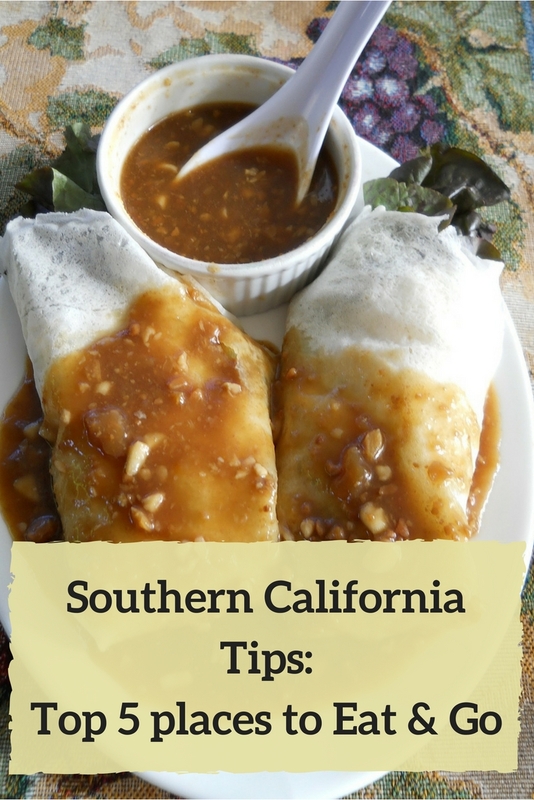 Here are my top five Southern California picks for best places to eat and go. 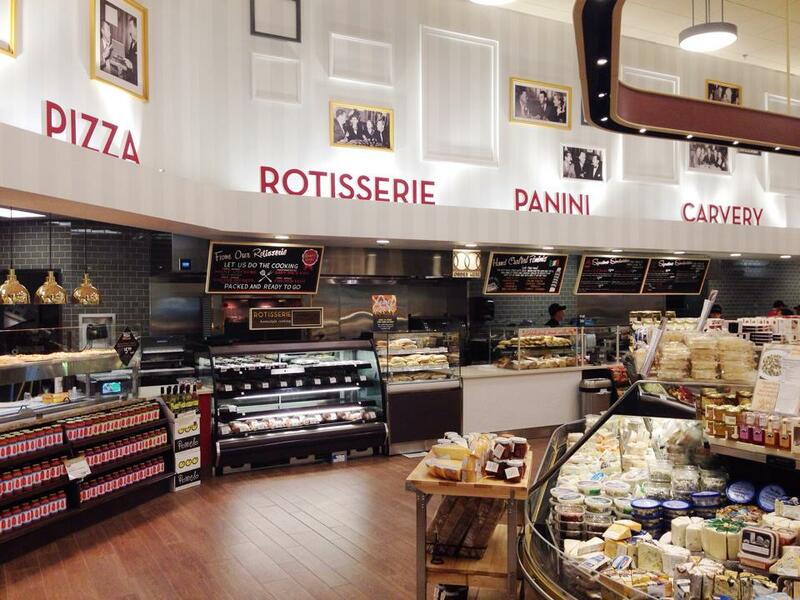 Bristol Farms are Gucci eats compared to the low-rent items at other well-known stores. My fave is located in the building which formerly housed the celebrity old-school restaurant Chasen’s. 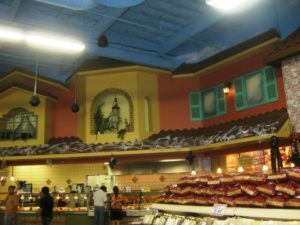 Here, ghosts of Elizabeth Taylor and Richard Burton roam the pasta aisle looking for cuisines of the past; occasionally, you might catch a glimpse of Ryan Seacrest or even Diana Ross wheeling a cart. Offering all three meals at the warm and go, I would often pick-up an almost two-pound breakfast burrito in the morning. Heavily packed with roasted potatoes, eggs, cheese, and bacon or sausage, it was the perfect beginning to a day. Additional fare included scrambled eggs, French Toast, pancakes, egg, cheese, potatoes, and biscuit egg sandwiches – with or without sausage or bacon. During lunch and dinner, items include macaroni and cheese, chicken in many forms (stewed, roasted, fried, boneless), spaghetti, warmed rolls, individual pizzas, vegetables medleys, sometimes with tofu, and the menu goes on. Sometimes, the pastas do get a little dried out from sitting on the table. 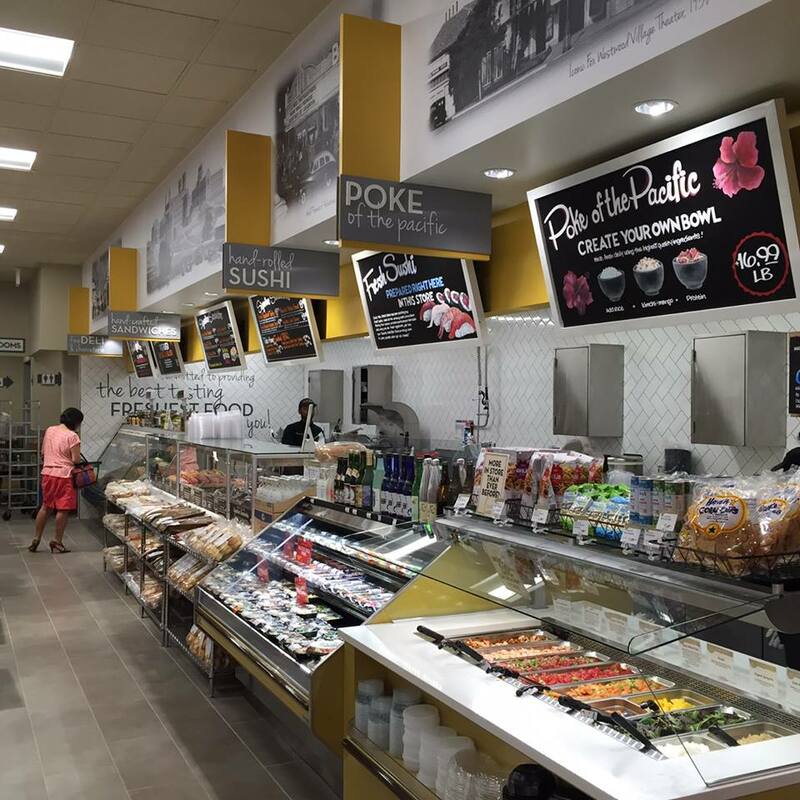 At the end of the day, for something hot and satiating, Bristol Farms is the chew! This was recommended to me by OC Weekly food writer Anne-Marie Panoringan, whom I met at a press dinner. We discussed our Filipino-ness. She said there was great adobe in her former Nor Cal home base. Living in the OC – she is an actual neighbor – she pointed out that I could go to Seafood City to get pancit for a birthday party. Pancit is to Filipinos what spaghetti Bolognese is to Italians at a gathering – a must. Just like the world-renowned slurpy strings, pancit’s base begins with vermicelli-like rice noodles, tossed with a variety of ingredients such as fowl, beef, goat, Chinese broccoli and string beans, green onions, carrots, etc. The list is endless. Although technically not a grab-and-go but more of a buffet, Seafood City features traditional cuisine from the archipelago, such as brothy stews like nilaga with boiled oxtail, potatoes, and bok choy, or singang, a savory pork stew with tamarind and jalapeno. 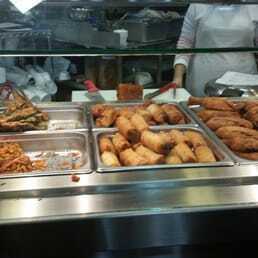 Of course, there are the pinoy faves Filipino sausage, lechon (slow-roasted pork), and lumpia (eggrolls), as well as the traditional adobe. When native Filipinos bring their families to dine on food from the store, you know it’s going to deliciously authentic. Bonus points: Buy your seafood from the fishmonger, and then they will clean and fry it for you. You can take it home to the family. 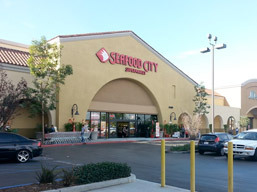 Like Seafood City caters to its native and non-native Filipinos, Cardenas market, a Latin grocer with almost 30 outlets throughout the Southern California area, does the same. Ingeniously, instead of trying to go against the tide of political opposition, the markets carry piñatas and play mariachi music. The grade school Spanish never mastered comes in handy when trying to find everyday items from the store’s employees. It’s almost like being in rural Mexico without ever having to get on a plane. That’s a compliment. From the morning desayuno to the evening cena, eaters can stock up on weigh by the food, including birrias, tamales, guacamole, and molacajete salsas, which are made right before your eyes. All their masa made on site can be purchased, and include unusual types such as blue corn and nopales. Regular white corn available to for those looking to make homemade tamales. Using leftover tortillas cut into triangles, batches are fried and salted into hearty housemade chips, making them the best in the land. Bonus points: Watch them make fresh tortillas in at their tortilleria and then buy them still slightly warm. 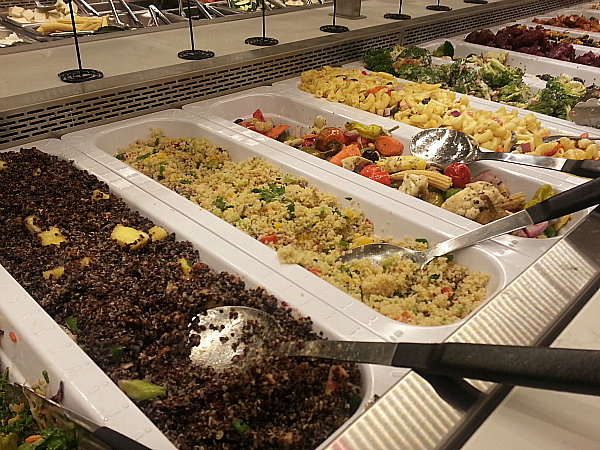 Since its beginning – sort of like when God created man – Whole Foods has always had a prepared food table. On the massive metal stages, which include breakfast, it almost a combination of Bristol Farms, Cardenas, and Seafood City – meaning it’s appealing to the masses and those who like ethnic foods. American eats are available but it’s “Hey, here is some macaroni and cheese as well as roasted chicken quarters for those who aren’t into it. “ Personally, I’ve always found Whole Foods to be underseasoned, needing more salt and pepper for brightness. Whole Foods does have the most extensive salad bar, with everything from freshly cut vegetables to dips and about a dozen salad dressings to appeal to vegans, vegetarians, and omnivores. Chilled pastas and meats. Whole and chopped hardboiled eggs. Fresh beets, not that jelly stuff that comes in a can, as well as an array of cheeses and nuts. 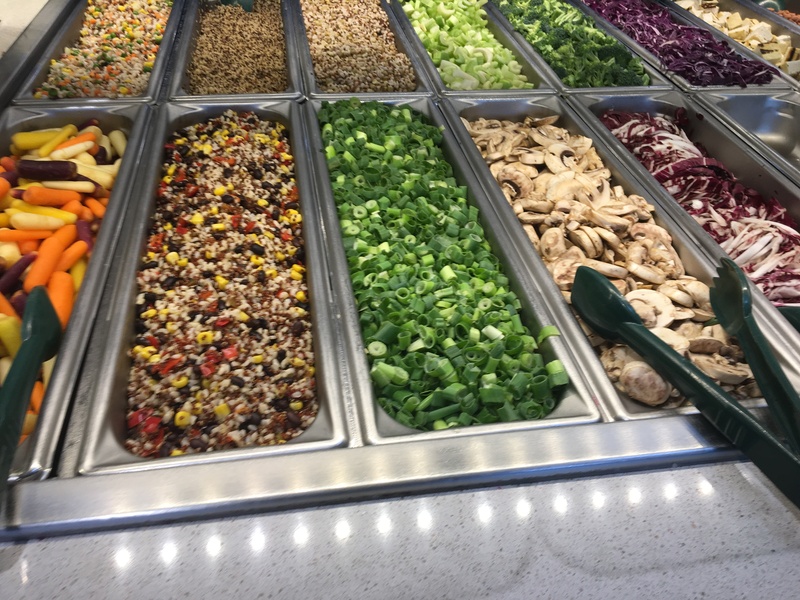 For additional cooked treats, the Whole Foods kitchen makes excellent pizza and flattops, where burgers and paninis can be whipped up to its adoring masses. 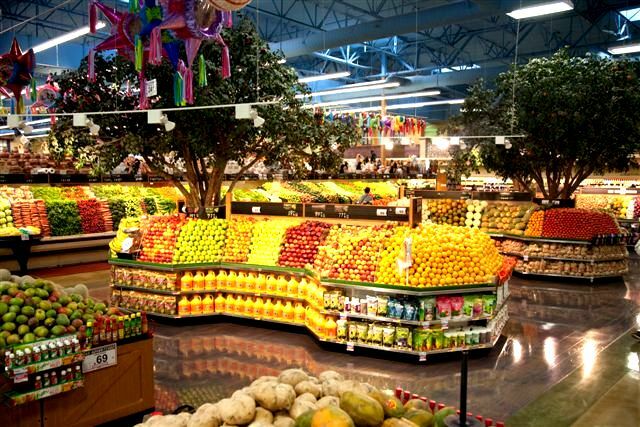 A food lover’s dream come true, Wholesome Choice ostensibly is a Persian market, but it caters to every ethnic group who lives in a the Orange County area. Located in a strip mall, next door to a Wells Fargo, this is a food bazaar. There’s no need to go anywhere else. A sangak bakery pleasantly assaults customers on arrival. Long curtains of unleavened Middle-Eastern bread, baked throughout the day by a team of Latins, draping over the front of shopping carts is a common sight. Waiting for the aromatic freshly baked dough is a global community of Asians, Middle-eastern, Africans, and Europeans from Central and eastern Europe. 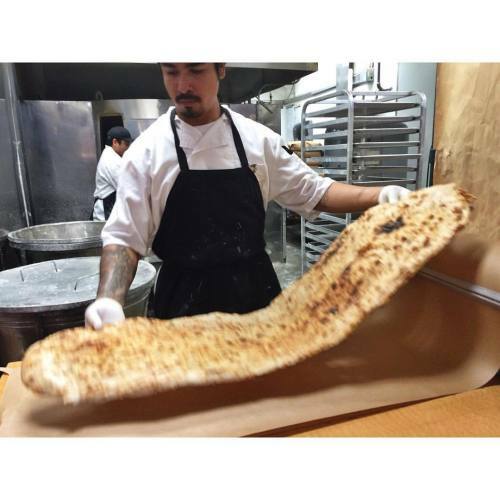 Additional baked goods such as Barbari, mashadi, and Persian sweet bread get doughed in-house too. Head over to International Food Court, where a hot buffet tables offers an array of global cuisines. Patrons can choose from six different fares to satiate their appetite, including Persian, Mexican, Chinese, Thai, Indian, Italian and American. 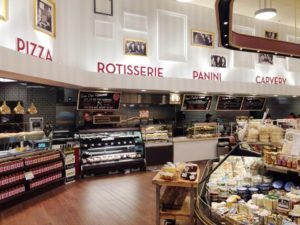 Over in the cold cuts area, all six varieties of feta are on offer, as well as dolmas, a selection of olives, and spreads such as hummus and tabbouleh. If you are shopping to make food at home, I’ve counted about a dozen tahini sauces. Bundled tangles of chives, rosemary, oregano, thyme, or other branchy herb are on sale for $1.99, and will last you a lifetime. 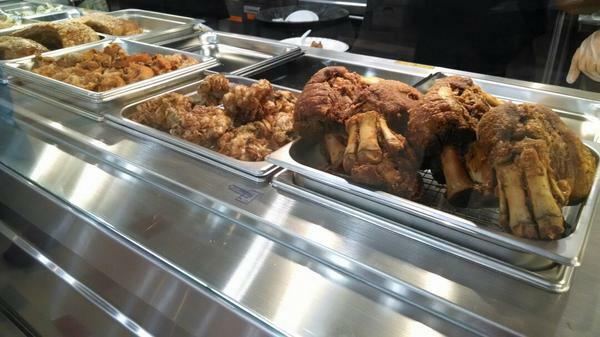 The butcher area is not for vegans or vegetarians, as there are often many sweetbreads and organ meats available, including testicles of lamb and goat. Longon, loquats, bitter Indian melon, fresh unshelled almonds, and grape leaves sell faster than the store can keep them in. Never in all my travels, which include 30 countries and nearly 250 cities, have I seen such a Western grocery store offering a selection of international goods. 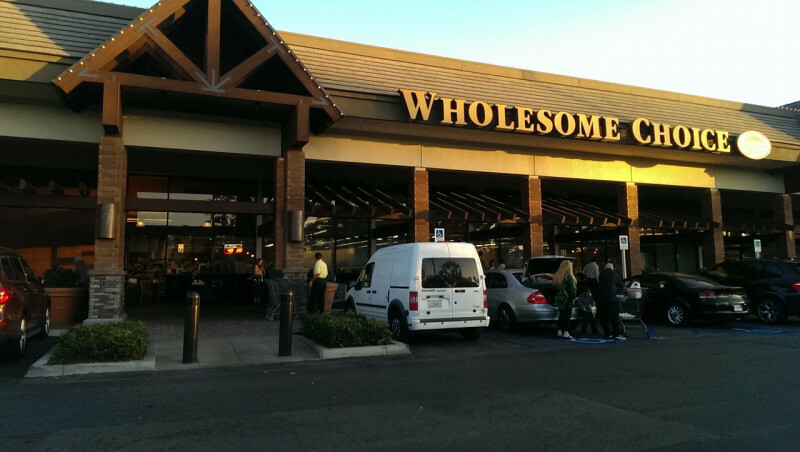 Bonus Points: The store proves that world peace can exist if we shop together for food. 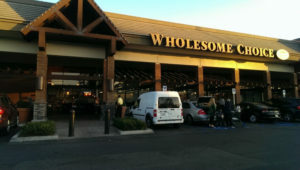 Whole Foods photos, courtesy Brian Garrido. All other photos courtesy respective stores via facebook.